Pierre-Yves Martel (viola da gamba) performances are characterized by slow music, extended in time and riven by isolated events in a frame of silence. 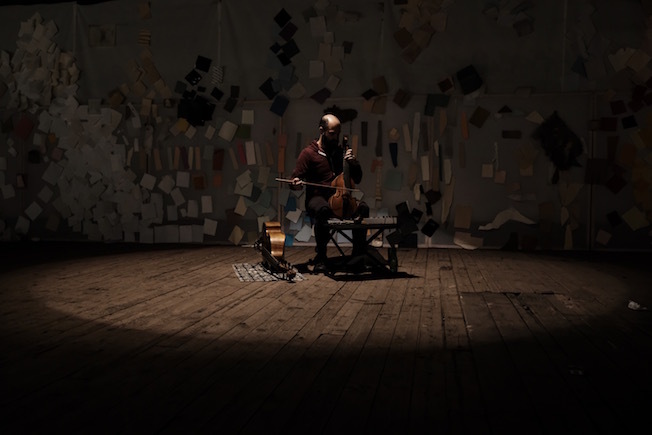 Through restraint, observation and control, the interplay of viola da gamba and harmonica opens a space wherein each instrument can extinguish itself and finally blend into a single unearthly soundscape. The viola da gamba is a Renaissance and Baroque era instrument, a precursor to the modern orchestral cello. Sci-fi landscapes on theremin / Synthi AKS duo by two of Wellington's best improvising musicians.